This post demonstrates how to hide or show an excel ribbon using VBA (Visual Basic for Applications). In certain cases it may not required to show an excel ribbon to the user. In such cases, hide the excel ribbon for a better user interface. 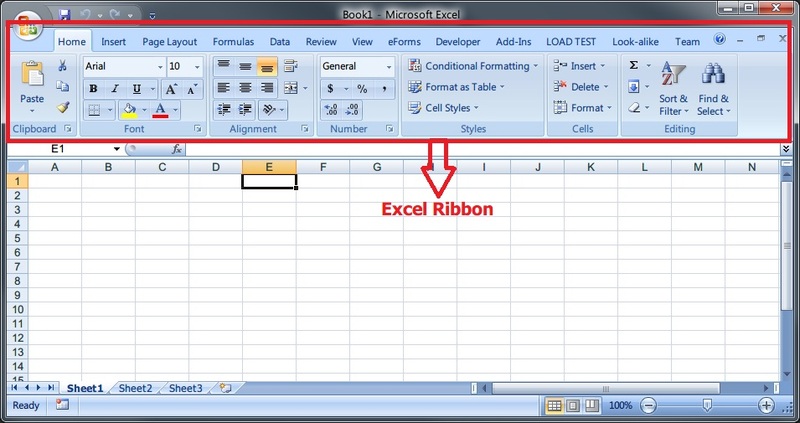 The excel ribbon will be hidden at the application level. This means in all workbooks, the excel remains hidden. So it is important to show the excel ribbon when the workbook is deactivated or before exit from the workbook. Add the following code in the Workbook_Open event. ShowRibbon is the sub-routine which shows/hides the ribbon depending on the argument passed. Add the following code in the Workbook_Deactivate event. Add the following code in the Workbook_Activate event. Add the following code in the Workbook_Close event. And finally add this sub-routine in a module. How can I show only tabs? In the following article it is clearly explained how to do that. Thanks for sharing this VBA code. If I want to compare 2 strings in EXCEL and some words which are there in 1st string which are not typed in 2nd string by mistake. How can I show them by changing the font color of the omitted words in BLUE. Is there any VBA to show omitted words. Regards, and Once again thanks for sharing this one. Thanks for sharing your knowledge. Is it possible for you to share a code which enables user to hide ribbon only for a single worksheet in a single workbook i.e. the ribbon remains hidden for the main menu sheet and becomes visible when all other sheets become visible after hitting command button (I have already created a separate code for visibility of worksheets). Just for your information, I am using excel in mac and I have tried the following code in Workbook_Open event in ThisWorkbook part of vba, however it is not working for me. Thanks for your feedback. Is it possible for you to share you email address so that I can ask follow up questions, if you don't mind. Here I can't share my email id. Please connect on Google plus and let me know your questions.